The 2018 Christmas Contest is our first Facebook contest! We hope to have a monthly/bimonthly contest and would love your ideas for giveaways! The contest will operate on our Facebook page under the “Like” and “Comment” Format. All participants who like the official contest post which will begin on December 10th will be entered in the drawing for a new TV. Participants who need new windows can enter to win 5 free windows by commenting WINDO in the comments as well. 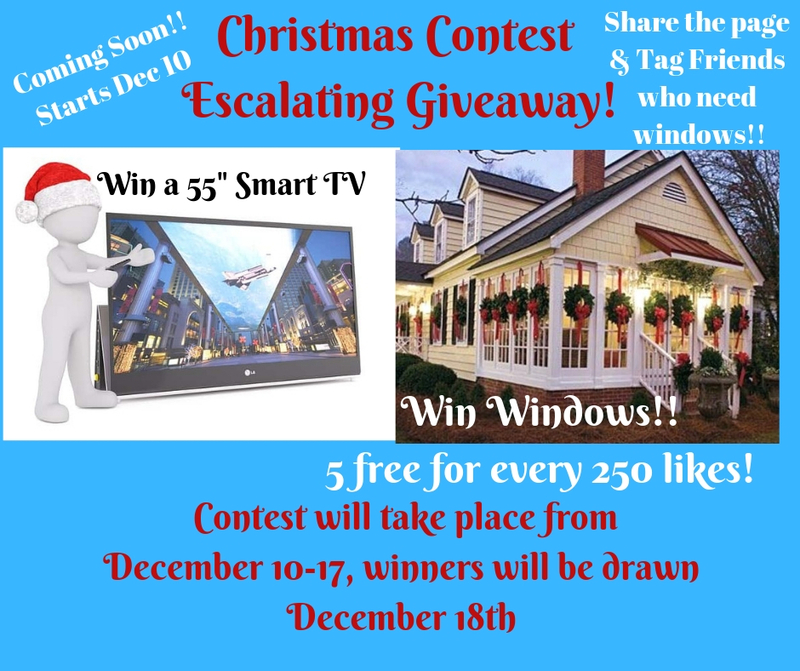 For each 250 likes, EHI will give away 5 free Windows, no purchase required! 5 Free windows will include white vinyl windows either Pella 250 series with Sun Defense or Alside Mezzo Climatech Elite. Participants who require color, series or material such as wood clad will be responsible the difference only for 5 windows.